When it comes to surface treatments, Curtiss Wright Surface Technologies can be relied upon for their one-stop shop solutions and dedication to excellent customer service. First set up back in 1929, the company who are a subsidiary of the Curtiss Wright Corporation specialises in providing surface treatments with the aim of enhancing the performance of critical materials and components. These treatments can be used in preventing premature failures and increasing the life of a huge range of components used in anything from a jet engine to a wind turbine. Used in a range of industries the world over, Curtiss Wright Surface Technologies can provide material surface treatments, protective coatings, high tech processes and much more. One of the biggest concerns for manufacturers, designers and buyers of critical components is premature failure as a result of fatigue, corrosion, stress corrosion cracking, fretting, friction, galling, and environmental and thermal stresses. 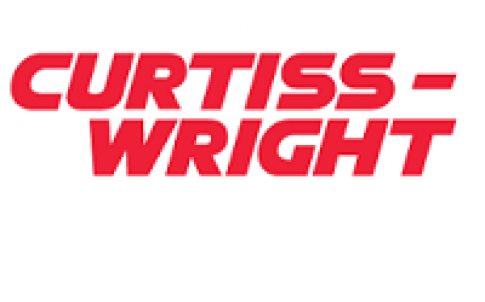 As a subsidiary’s of Curtiss-Wright, Curtiss Wright Surface Technologies has a rich and long history behind them. With a global network of over 70 operating divisions, they are able to supply their exemplary services to OEM’s in a wide range of major industries, such as aerospace, automotive, oil & gas, subsea, medical, power generation and more. Their innovative surface treatment solutions encompass Controlled Shot and Laser Shock Peening, Engineered coatings, Thermal Spray Coatings and Parylene Coatings for silicone, plastics and electronic components. They ensure that by working closely with customers from the design stage through to manufacturing they can provide a One Stop Solution for material treatments. These can be applied to new manufactured parts and also repair and overhaul including site work. There are a number of factors that can cause premature failure and poor performance of metals and materials which is why the services and processes Curtiss Wright Surface Technologies provide are vital in the life extension of critical components. Machining, heating, forging bending and rolling of metals can induce unwanted stresses and associated problems which can be eliminated by some of the services Curtiss Wright Surface Technologies offer. 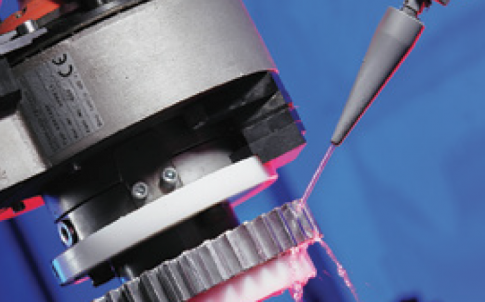 Component repair is just one of Curtiss Wright Surface Technologies’ many specialties. Their diffusion and sacrificial coatings can be applied to a wide array of components, including compressor blades, vane tips, turbine blades, intake snouts and more. Throughout 2016, Curtiss Wright Surface Technologies expanded into the steam gas turbine repair and overhaul industries. They also successfully acquired Component Coating and Repair Services (CCRS) and expanded their portfolio to include yet many more processes. Last year they attended the Advanced Engineering show at the NEC, Birmingham, where they demonstrated their surface treatment solutions and range of services. Attending alongside hundreds of other industry peers, Curtiss Wright Surface Technologies were able to stand out thanks to their One Stop Shop service and wide variety of processes. They impressed new visitors to the stand and also welcomed existing customers thanks to their consistent and ongoing expansion of new services and technologies. Curtiss Wright Surface Technologies metal improvement and component coating facilities use state of the art robotic equipment which has been designed and manufactured in-house specifically for our customers’ work. They keep in the forefront of new materials and technology by maintaining strong links with industry associations and being actively involved in research and development projects. If you would like to find out more about Curtiss Wright Surface Technologies and how they can benefit you and your components and materials, then be sure to get in contact with the company today using the number provided below. Alternatively, more information can be found by visiting their website, where you can find more on their many services. Solving the problems of wear, corrosion and fatigue and ensuring that components perform to their maximum potential is key for us to achieve our customer’s changing and challenging requirements. Over 80% of our surface treatments are performed on OEM parts which are often either designed-in or specified as proprietary production processes. They are also extensively used for the repair and overhaul of worn and damaged components, where possible returning the part back to specification level. Curtiss-Wright Surface Technologies hold major industry approvals including AS9100 Rev C, NADCAP, ISO 13485 and ISO 9001/2008 and NACE level 3 trained inspectors. We pride ourselves on our turnaround time, quality assurance, process verification and finished goods testing procedures. Our heritage goes back to the Wright Brothers and Glenn Curtiss and we are part of a major global network providing key services and products to major industries worldwide. Metal Improvement Company, E/M Coatings and CCRS are all business units of Curtiss-Wright Surface Technologies. Our key markets include aerospace, energy, oil & gas, power generation, medical, automotive as well as general industries. We are able to process parts in-house or on site with fully qualified and experienced teams. We believe in the continuous development of our processes and technology to meet the needs of modern industry.